It's just you against the track and time. Astronomer Damian Christian of California State University, Northridge, can remember wanting to be an astronomer as early as age 12. Growing up, he had a small Tasco telescope and did the occasional sketch of Jupiter or a lunar eclipse. This childhood passion for space would eventually evolve into a career. Damian is a native New Yorker â€” born in the Bronx. Shortly thereafter, his family moved to what he calls "the metropolis of Scranton, Pennsylvania," where he spent most of his youth. He attended Pennsylvania State University, where he received bachelor's degrees in astronomy and physics. Later, he attended graduate school at the University of Maryland, where he received both a master's degree and Ph.D. in astronomy. Damian has a newfound enthusiasm for racing motorcycles. Although he still considers himself a novice, he says he enjoys the thrill of seeing his lap times marked down as he races against time. "In the end it's just you against the track and time," he said. 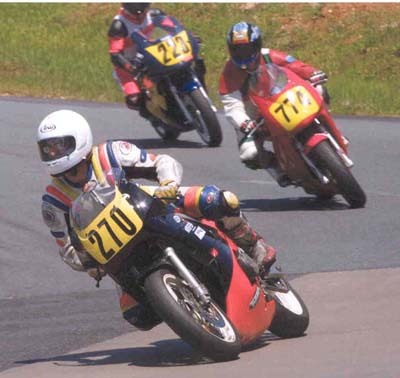 If Damian wasn't an astronomer, he says he would want to swap places with professional motorcycle racer Colin "The Texas Tornado" Edwards in the 2005 MotoGP. More realistically, he says, he would have been an electrical engineer. He considers himself good at taking things apart, but perhaps not so good at putting them back together. According to Damian, one of the most exciting moments of his career was when, in July 2001, he measured X-rays coming from a comet, which as far as anyone knew, weren't supposed come from comets. A theory was established as to what had caused the X-rays, which was later confirmed. The rewards of being an astronomer are simple for Damian. He says he enjoys traveling to the telescope and adding knowledge to the astronomy community. Damian describes himself as a night owl â€” that's how he can spend so many long nights observing. That and a constant supply of Mountain Dew.